It’s time to freshen up the kitchen sink! Your kitchen sink can hold lots of germs and bacteria. I read an article recently that said you should take the dish drainer out of the sink and put it into the dishwasher once a week. 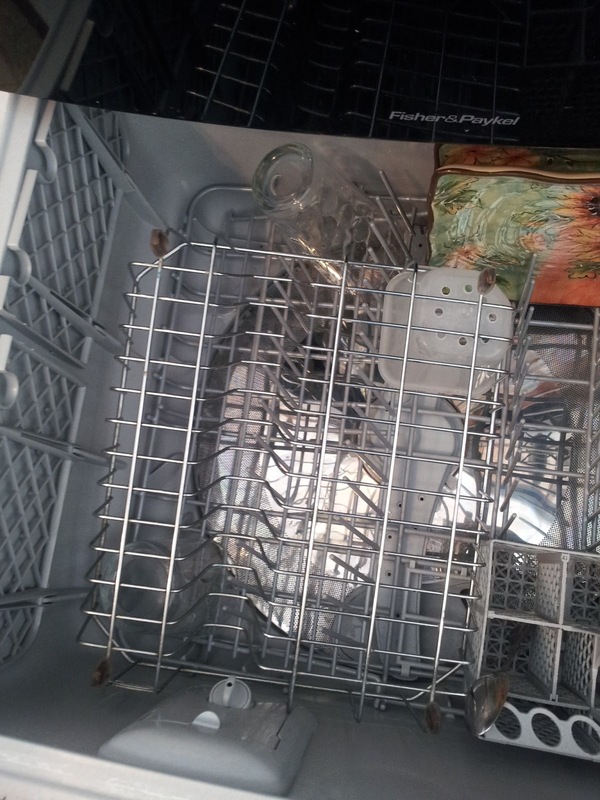 So last Sunday when the dishwasher drawer was relatively empty, I put the dish drainer in there, turned it on “fast” wash and let it get squeaky clean. Why did I never think of that before?! The hot water in the dishwasher gets rid of the the bacteria much more effectively than regular tap water would do! I’m going to make it my weekend chore to toss the drainer in the dishwasher on either Saturday or Sunday. If you don’t have a dishwasher, boil water and pour it into the sink and let your dish drainer soak in the steamy water 10 minutes. Another great way to freshen up your kitchen sink is to fill the sink with hot water, a couple drops of dish soap and about 1/4 cup of bleach. Yes, I use a little bleach. Just rinse everything well. It is the best way to disinfection Throw the dish cloth in the water too. Let it soak 15 minutes. *Note: the use of sponges isn’t recommended due to the bacteria that they hold. Drain the water. Sprinkle the sink with baking soda and scrub the sink and the strainer – top and bottom. That’s another bacterial grabber! Rinse the sink well. Stand back and admire the shine and clean fragrance! Hmmmmmmm! Thanks for the info!